Item # 317572 Stash Points: 3,195 (?) This is the number of points you get in The Zumiez Stash for purchasing this item. Stash points are redeemable for exclusive rewards only available to Zumiez Stash members. To redeem your points check out the rewards catalog on thestash.zumiez.com. 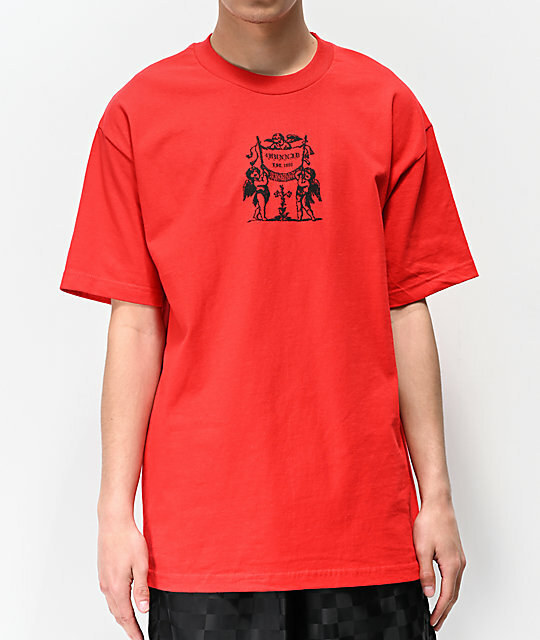 Get yourself set up with sinister 4Hunnid styling with their new Angels Red T-Shirt. 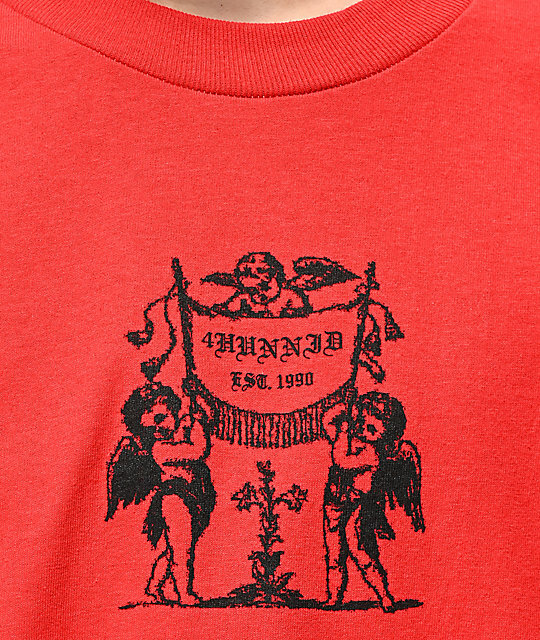 Made from a soft cotton construction, this top features matching screen-printed graphics on the chest and back of cherubs holding up a banner that's printed with signature 4Hunnid logo script. 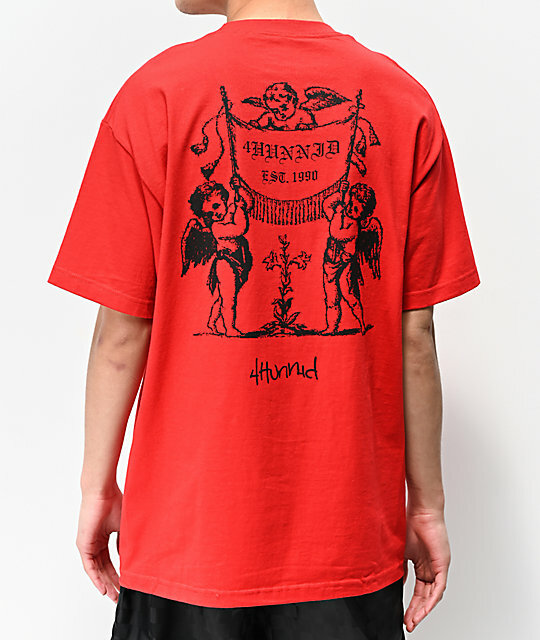 Angels Red T-Shirt from 4Hunnid. Matching screen-printed logo graphics on chest and back.